Freud did not “discover” the unconscious. His contribution could not have occurred without previous philosophers’ or physicians’ contributions, nor could it have happened outside of the general social and culture environment of his time. Freud’s original concept of the unconscious can be traced through a philosophical lineage of avid thinkers like Descartes, Leibniz, and Kant. 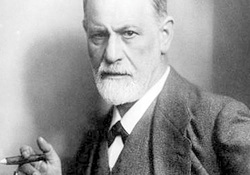 In addition, Freud’s work with people such as Brücke, Breuer and Charcot directly influenced his creation of a psychoanalytical theory; they themselves studied various psychological phenomena and contributed to the general cultural flow of ideas on the unconscious in psychology or psychiatry. As if it were in the air of the times, many of Freud’s contemporaries, including Nietzsche and Le Bon, used the concept of unconscious mental phenomena in their work. Freud’s critical discovery was the prominence of the unconscious in the psyche, which was the foundation of his psychoanalytical practice and theory. Freud’s initial creative outlook on the unconscious was highly criticized by his contemporaries; in psychoanalysis, the unconscious is an inevitable reality, as much as the heliocentric world in the Copernican revolution and the connection between apes and humans in Darwin’s theory of evolution. In addition, psychoanalysis is the discipline that has historically shocked people for its open discourse on human sexuality. When, in 1900, Freud introduced the Oedipus complex, he scandalized his contemporaries for daring to mention sexuality in childhood. Freud continued to push boundaries as he developed the concept of drive in 1905, which is no less than sexual energy, and built his model of the psyche around the mechanism repressing such libido. For Freud, the Unconscious consists of independent drive or object representations; it aims at releasing their cathexis; it allows for the mobility of cathexis among representations; it is purely obeying the pleasure principle; it knows no contradiction, no doubt, no certainty, and no paradoxes; it is timeless; and it entertains no relationship with external reality (which is replaced by psychical reality). The Unconscious is a lively system capable of change. With great honesty, Freud acknowledged the complexity and limits of his theory based on three systems – Unconscious, Preconscious and Conscious. Although Freud later introduced another model of the psyche with the Id, the Ego, and the Superego, throughout his career he identified human neuroses and everyday lapses as manifestations of the Unconscious. Freud’s “creation of psychoanalysis was at once a theory of the human psyche, a therapy for the relief of its ills, and an optic for the interpretation of culture and society” (Encyclopædia Britannica, “Sigmund Freud,” 2012). Indeed, psychoanalysis has greatly influenced social sciences and humanities since Freud: “Cultural studies does not reflect a single “field”, theory, or methodology, but makes use of several—Marxism, femininism, deconstruction, psychoanalysis, [and] ethnography” (Brantlinger, 1990). In the social sciences where psychoanalytical theory is utilized, the focus is often on the unconscious insofar as it underlies, if not determines, behaviors and motivations in human interactions and exchanges both individually and collectively. Conversely, psychoanalysis cannot exist without an individual’s relationship to the social and cultural environment.